With America’s president visiting Cuba this week, I thought it might be helpful to re-post my story “Has Cuba Got Oil?” which I wrote in 2014. It’s still valid. Cuba still has oil. But I argued that I doubt oil has much to do with normalization of relations between the USA and the tropical island. Cuba’s oil – and there may be quite a bit – is hard to find and even harder to recover. So, petroleum likely has little to do with the pending American-Cuba reconciliation . Here’s my original blog post on Cuba’s oil . 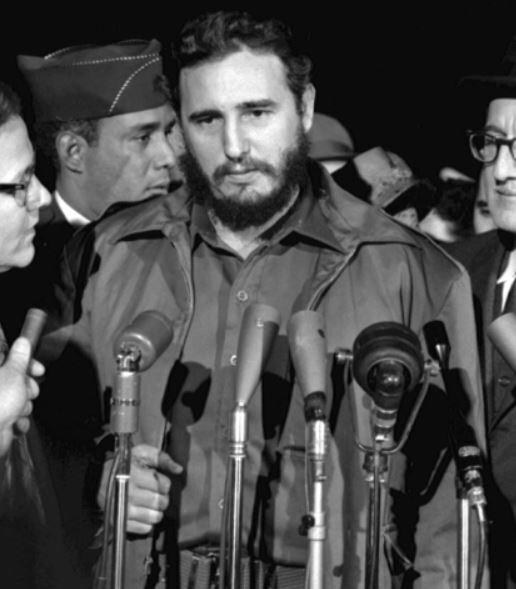 . .
Havana lawyer, Dr Fidel Castro, visiting Washington DC in 1959. 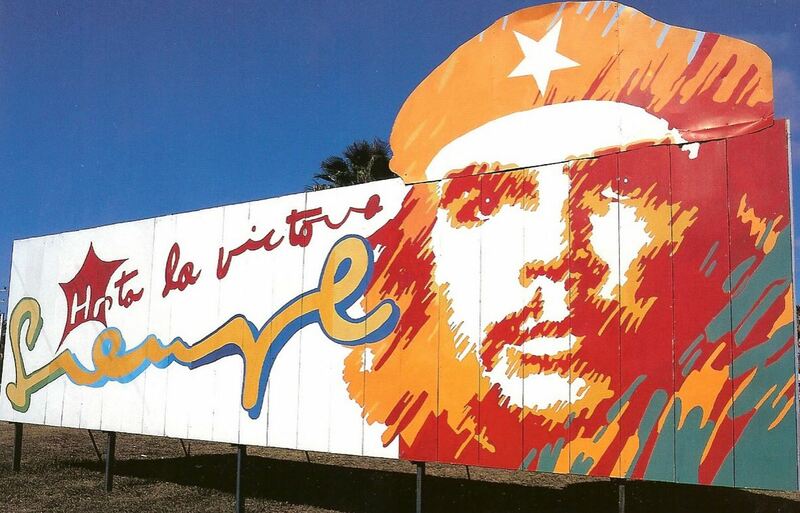 Besides sunshine and sugar cane, what has Cuba got? It looks like the USA is serious about letting Americans party along Havana’s beaches and carry home a cigar or two. It has long bemused me that two of the continent’s closest neighbours have been isolated for two generations, with nary a neighbourly howdy between them. I can understand the American disdain when Castro turned to Russia for help and converted his island into a Communist dictatorship instead of a socialist democracy. But I can also see the point that others have made – sometimes an obstreperous foe’s behaviour changes more quickly by talking rather than isolating. 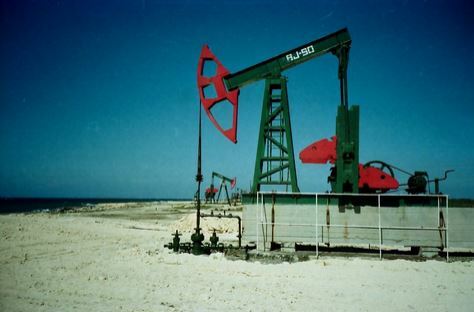 This geology blog tends to steer clear of politics, so instead of pitching my three cents worth of non-expert opinion about embargoes vs free trade, I thought I’d write a few words about Cuba’s major oil fields. There really aren’t any elephants – not yet. Some readers may be surprised by the fact that the politics of oil exploration seems to play no role at all in the new American-Cuban detente. Three geologists whom I know – Canadians working for three different companies – have spent time exploring Cuba’s subterranean oily treasures. They discovered very little oil, though one found a wife and settled into village life south of Havana. Nevertheless, there is oil within Cuba’s domain – the US Geological Survey estimates billions of (mostly offshore) barrels are awaiting discovery. Unfortunately, after drilling deeply in 2012 just off the north Cuban coast, hopes for the discovery of big oil fields were dashed. At least for now. Things that make an oil field include source rock (usually oily shale), porosity (fractures and cracks that deliver hydrocarbons to the well), and traps (which can be ancient buried reefs, sand bars, pinched thrust sheets, or a bunch of other structures). There’s much more to an oil field than this, of course, but without a source, porosity, and trap, you’d better keep your derrick stashed in the shed at home. The things that make an oil field economical are the cost of production (depth of well, rock type, existing infrastructure), nearness to market, and the rule of law within the jurisdiction. How does Cuba stack up among these? Well, all the elements that could create a profitable oil field actually exist in Cuba. The country itself has amazingly varied geology with plenty of source rock and plenty of traps buried in its highly structured geology, although the porosity element is sometimes problematic. Oil seeps were discovered centuries ago – strangely, though, the oil drips from igneous rocks, not the typical sedimentary limestones and sandstones that usually host hydrocarbons. An American Association of Petroleum Geologists’ 1932 paper, Occurrence of Oil in Igneous Rocks of Cuba, estimated that over 200 million barrels of “asphalt grade” oil was locked in rock along the north-central Cuban coast. In places, the heavy oil seeps from intrusive diorite dikes which have cut through 1,500 feet (500 metres) of oily Jurassic limestone and shale. All of this bode poorly for the explorers of the 1930s and it still does today. It means the hydrocarbon setting is complicated and unpredictable – and much of the oil itself is not much better than low-grade tar. Regardless the US Geological Survey’s prediction of massive potential, Cuba has been energy-starved for a century. To fix this, Cuba famously entered into a deal with Venezuela, shipping well-regarded Havana-trained doctors south in exchange for South American oil. This worked well enough as long as Hugo Chavez was alive, but the flow may be stanched. Cuba needs to pump its own oil. Consumption has been around 155,000 barrels per day; production is one-third that. The shortfall has been purchased or bartered from Russia and Venezuela, but this creates a foreign expense of $5 million dollars a day – about $0.50/person in a country where daily income (GDP/pop) is a dismal $6. Both Russia and Venezuela are former big-bucks oil-ogarchies and were generous benefactors when oil prices were high. But things have changed. Those former sugar daddies have turned into sugar duds. With the help of seasoned foreign geologists, Cuba has tried to produce its own oil. A very capable Canadian company – mining giant Sherritt International – explores and develops much of the country’s onshore oil. Sherritt is the largest independent oil producer in Cuba. But there is not an enormous amount of onshore oil. The real prize is waiting off the north coast – that’s where the USGS estimates 4.6 billion barrels of oil will eventually be produced. (The Cuban government claims the number is 20 billion barrels – but they are looking for investment partners.) Deep sea oil is not seeping to the surface – it is locked in rock deep below the ocean floor. Even though Cuba is near huge deep-water oil fields in the Gulf of Mexico, the geology under Cuba’s waters is remarkably different. The sticky prize is under 300 metres of seawater, then beneath 8,000 metres (25,000 feet) of twisted, faulted, thrusted rock. Geologists have a technical name for the jumbled thrust sheets that hold Cuba’s submarine oil – they call such formations a dog’s breakfast. It’s not pretty. Not far from Cuba’s bit of the Caribbean are Gulf of Mexico oil platforms – some of which each produce 200,000 barrels a day. That’s more than the entire country uses. Large reserves are also under Cuba’s water, but so far none of it has been pumped to the surface. A recent casualty in the deep drilling effort was the Spanish oil company Repsol. After years of seismic exploration and testing under the tropical waters, Repsol gave up in 2012. Others have been poking holes in the Cuban exploration blocks – Brazil’s Petrobras (sometimes considered the world’s expert at deep marine exploration), Russian companies Rosneft and Zarubezhneft, as well as Norwegian, Indian, and Malaysian companies. All have given up on their offshore projects. Venezuela’s national oil company continues to be supportive, but can’t afford to drill the deep tricky wells off Cuba’s coast. Because of the 50-year embargo, American firms have not been involved at all – even though the huge Florida market for the offshore hydrocarbons is only a hundred kilometres to the north. Greatly complicating things for Cuba, the drop in oil prices has further driven deep sea exploration projects from the stage. Low prices force drillers away from risky targets because the potential for a big financial return is too small. It must be frustrating for the Cuban people to own a non-recoverable resource that even the Americans assess at a $250 billion value. Because of the stubbornly unyielding deep sea reserves, Cuban leaders have refocused their efforts to the original fields – the proven onshore resources that already supply a chunk of the country’s oil. The Cubans have also begun focussing on solar, wind, and biomass energy (garnered from sugar mill waste) in earnest. 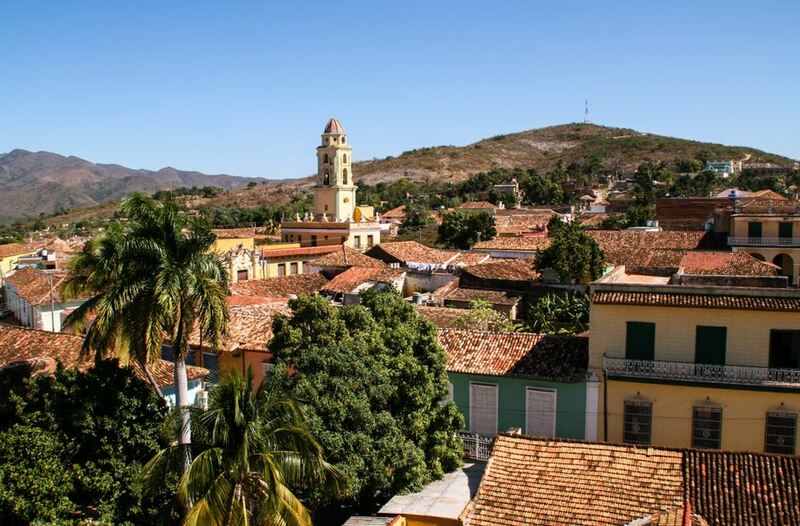 Cuba’s vice president, Marino Murillo, recently told his parliament that Cuba plans to invest $3.6 billion over the next 15 years to develop alternative energy. This might be good news for Cuba’s growing tourist industry – oil production lies very near Havana and Varadero and is found on beaches popular with Canadian and European winter holidayers. The threat of leaks and spills worries Cuban residents as well as foreign resort developers. Cuba’s inadvertent switch away from deep sea oil exploration towards other energy schemes reduces their anxiety a bit. The bottom line to this story is that Cuba and the States may become friendly neighbours but oil is not the reason. Someday the potential offshore Cuban oil reserves may be drilled, but with the current low price of oil and with the difficult geology of Cuba’s thrust and fold belt, development is decades into the future. By then the other elements that make an oil field – including lower cost of production and rule of law – will hopefully be ingrained features of the Cuban business environment. This entry was posted in Culture, Exploration, Geology, History, Reblogs and tagged Castro, Cuba, offshore oil, oil industry, oil seeps. Bookmark the permalink.